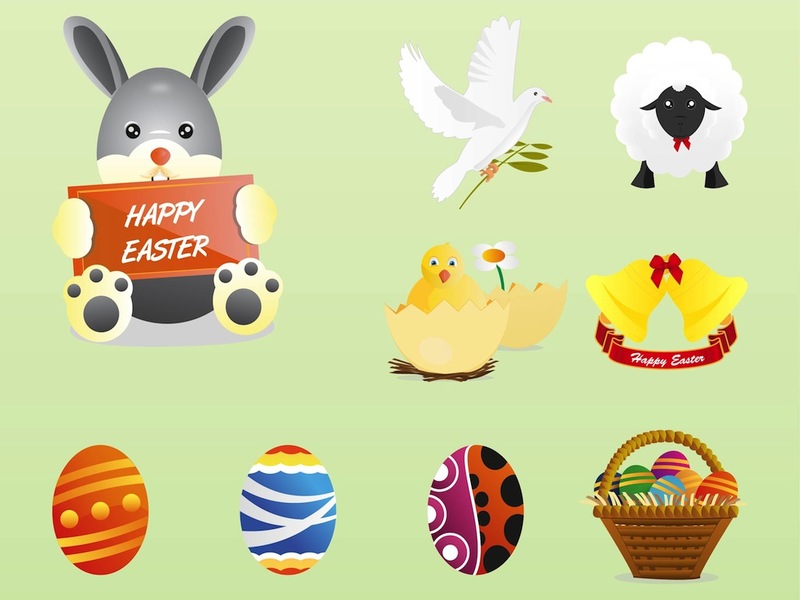 Colorful vector image with items and characters related to Easter. Eggs decorated with various colorful patterns and different geometric shapes, big basket with many colorful eggs, bells with a ribbon with greetings, sheep, dove carrying a branch, baby chicken in an egg and a cute bunny holding a greeting card. Tags: Animals, Colorful, Eggs, Greetings, Holiday, Spring.